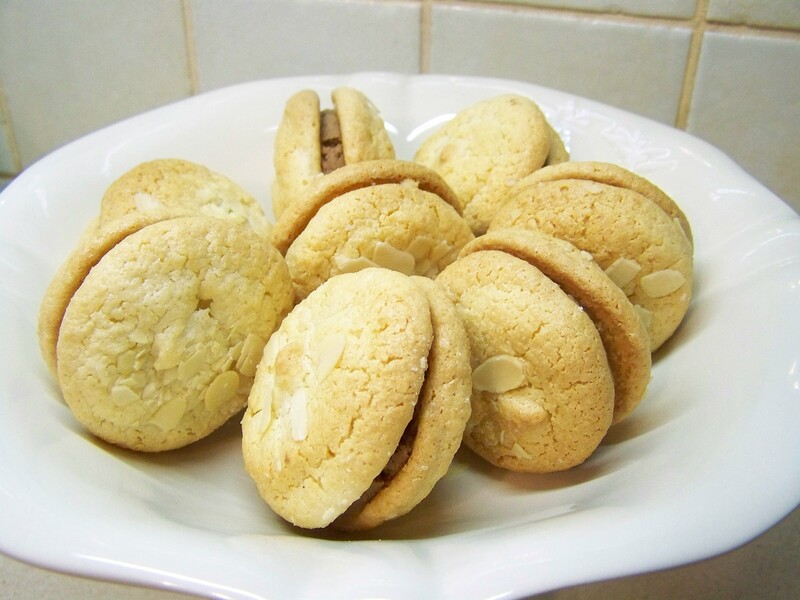 A traditional chewy almond cookie that is often offered in Greece at weddings or baptisms.. or births. In my area, they are normally made and presented in the form of a large rosette which gives them an added chewiness at the center considering their normal size. 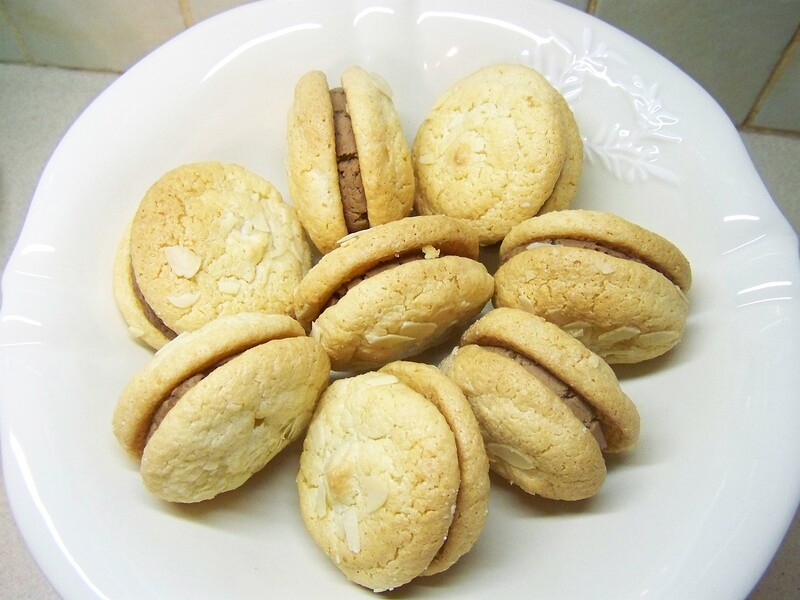 My way of making these almond cookies are macaron style by sandwiching two cookies together with a filling. These are filled with a whipped milk chocolate ganache and I have also filled them with a white chocolate almond filling and a white chocolate strawberry filling. I was never a true almond fan, but after making these and macarons which I hope to show you soon, they have definitely gotten the best of me now! If I had a buck for every time I came to sweetdiscovery.wordpress.com! Superb post!